LxWxD: 29.75" x 12.50" x 15.75"
LxWxD: 29.00" x 14.50" x 14.00"
LxWxD: 28.75" x 17.50" x 10.62"
LxWxD: 29.25" x 15.25" x 15.00"
Roto-Molded Shipping and Storage Containers from Ameripack offer the ultimate solution to packaging requirements. Ameripack offers the largest assortment of sizes available from any source. Additionally, Ameripack and its suppliers work closely with you the customer to define, develop and provide the perfect solution to your on-going packing and storage requirements. 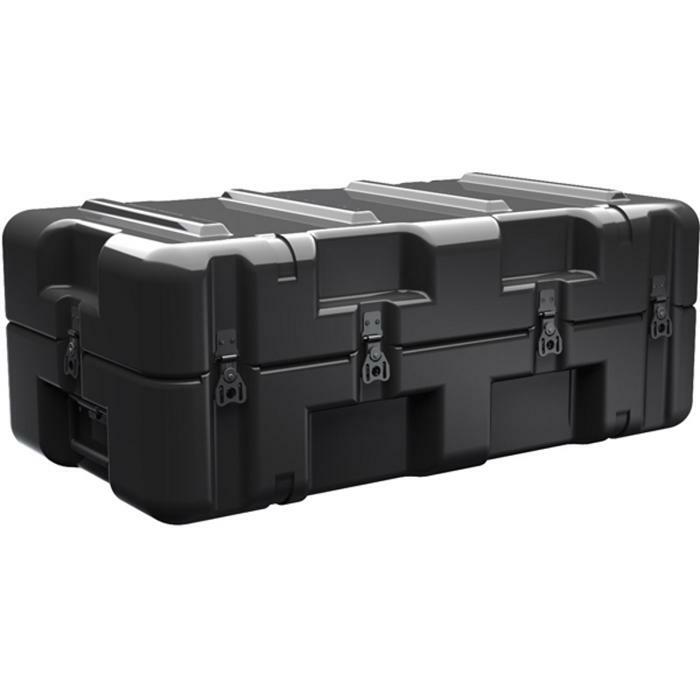 All Roto-Molded Shipping and Storage Containers are produced to the rigorous specifications of the Airline Transportation Association and comply with the ATA 300 Category 1 specification for 100 trip applications. Roto-Molded shipping and Storage containers can be produced to be airtight and water tight. These containers also conform to the specifications of many Mil-Specifications and Federal standards.